Keren Taylor, Executive Director of WriteGirl, has been a community leader for nearly two decades. In 2001, she founded WriteGirl with the idea of leveraging the skills of women writers to mentor underserved youth through a slate of creative writing workshops, one-on-one mentoring and college readiness programs. Under Keren’s direction, WriteGirl has become a recognized and lauded innovator in youth arts education in Los Angeles, building unique partnerships with leading civic and cultural organizations. Committed to providing a cutting edge approach to learning and creativity, Keren and the WriteGirl leadership draw from many different fields and backgrounds to design dynamic programing to reach girls of widely disparate learning levels and engage even the most reticent learner. 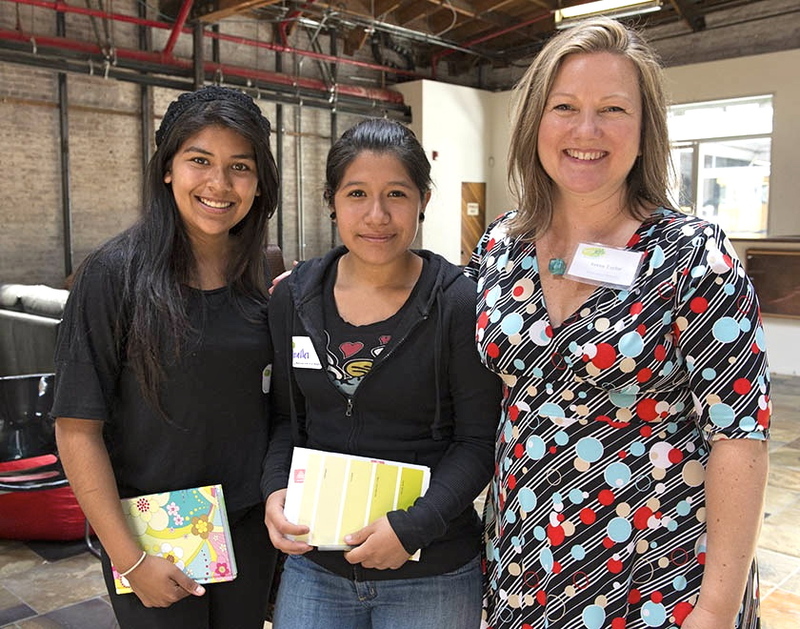 For 11 years, WriteGirl has guided 100% of the high school seniors in its Core Mentoring Program to graduate from high school and enroll in college. Working with a team of editors and designers, Keren has directed the production of over two dozen anthologies of writing by teen girls and their mentors. To date, WriteGirl publications have been awarded 55 national and international book awards. Keren has overseen WriteGirl’s expansion into a thriving community of women and teen writers and an organization that helps hundreds of Los Angeles girls annually. In 2010, WriteGirl was awarded a Medal for Service and named the 2010-2011 California Nonprofit of the Year by Governor Arnold Schwarzenegger and First Lady Maria Shriver. WriteGirl also received the 2010 HUMANITAS Philanthropy Prize and was a finalist in the 2011 National Arts & Humanities Youth Program Awards. Passionate about helping women and girls, Keren is a popular speaker at conferences and book festivals nationwide, including the Association of Writing Programs Annual Conference, BOOST Conference, Los Angeles Times Festival of Books and Guiding Lights Festival. Keren has led staff development workshops for the California Paraeducator Conference, California School-Age Consortium, California Department of Education, Los Angeles County Office of Education, LA’s BEST and the New York Partnership for After School Education, among others. Keren has been selected to serve as a Community Champion and facilitator for the Annenberg Foundation’s Alchemy Program, helping guide nonprofit leaders to organizational success. Keren is the recipient of numerous awards and accolades, including the President’s Volunteer Call to Service Award, Business & Professional Women’s Community Woman of Achievement Award, Soroptimist International’s Woman of Distinction Award, commendations from Los Angeles Mayor Antonio Villaraigosa and others. Keren is an assemblage artist and mosaicist. She holds a Bachelor’s Degree in International Relations from the University of British Columbia, a Piano Performance Degree from the Royal Conservatory of Music, Toronto and a Diploma from the American Music and Dramatic Academy, New York City.